In Sabrina Smith Noble’s Art Club for year 1 children we’ve started the lead-up to spring by experimenting with colour and trying out different materials. 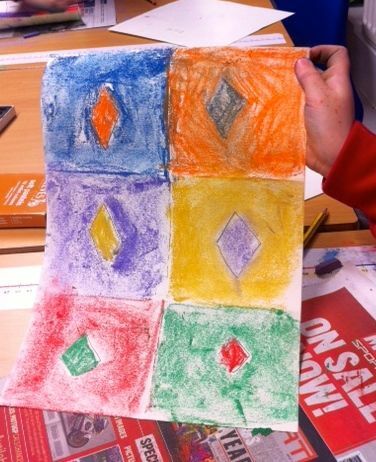 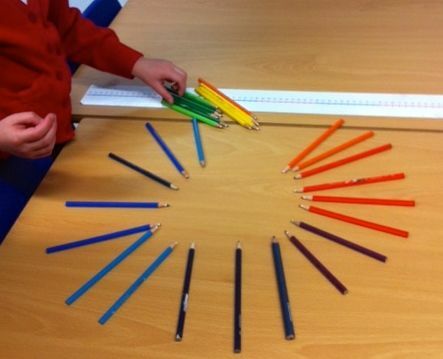 The children have practised mixing primary colours to make a colour wheel and then experimented with complimentary colour schemes using pastels. 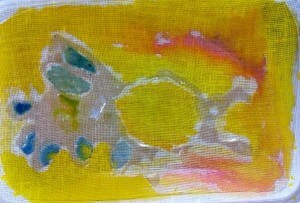 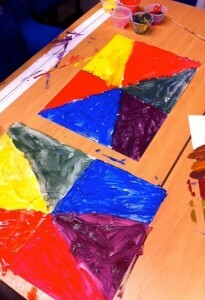 Each week they’ve tried a different material and surfaces to create interesting painted pieces. 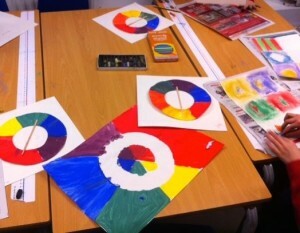 In the third week Louise Pasquil showed them some beautifully illustrated picture books and they learned some techniques for painting with watercolour on textured paper. 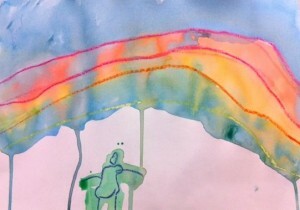 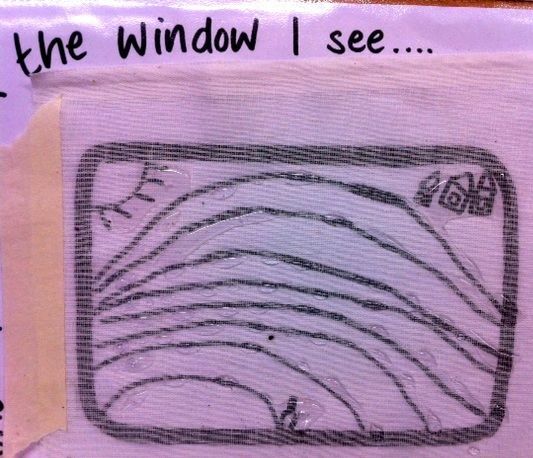 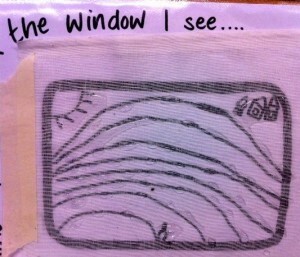 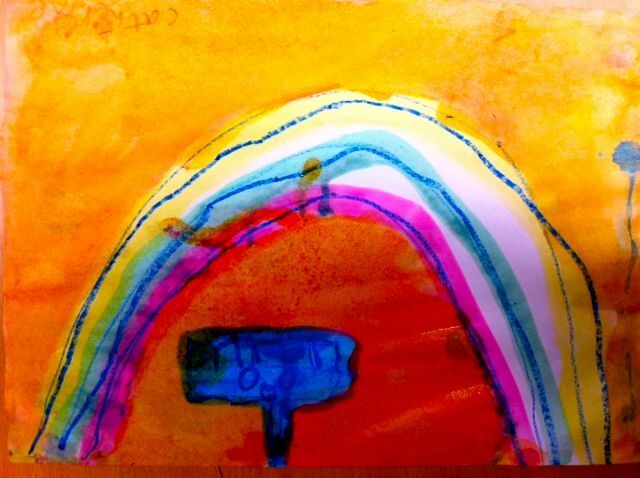 Last week we used diluted drawing ink and crayon to create vibrant pictures of scenes that make us happy. 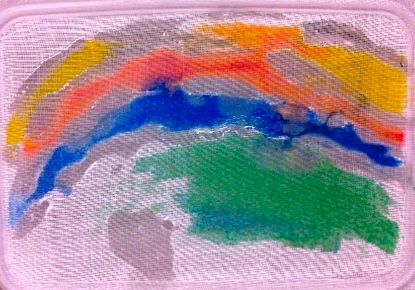 We also began using a glue resist to create batik inspired cloths.